Coach Azraii Moves To Perak – footsteps…….. The Malaysian League 2012 season is dropping the curtain and we will witness another finals with some interesting features in in. When the season ends, teams starts preparing for the next season and from a Facebook page I found this. 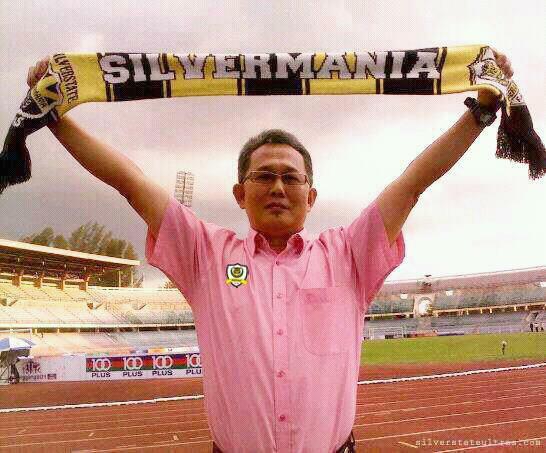 Coach Azraai Khor has moved to Perak. He has a very successful historical stint with his home state team Kedah when he led them to a double treble which is a feat very difficult to be achieved even from our most successful team Selangor. With his coaching architectural and engineering success in football with Kedah land him as National Coach for Junior players. As history was created, whenever a successful coach at state who move up to National Football coach it means he is coming to an end of his career as a successful coach. Datuk Hj Ahmad Shafie, Cikgu Norizan Bakar, B. Sathianathan some names I remember, all created their downfall when they coach the national team. Azraai Khor experience the same. With the latest development from our senior football teams’ performance and Datuk K. Rajagopal’s statement that no other coach is as successful as he is, will he too fall like other coaches. FYI, Datuk K. Rajagopal’s statment (whether from his mouth or not) has been commented at great length by facebookers. The latest are comments of his teams performance in Hong Kong receiving negattive comments even they beat HK 3-0. So, is the National Team a haunting ground for successful coaches? idealogi baru ini.” beliau berkata dengan teruja. but he fail to create another winning streak as what he had done with his homestate, Kedah. Previous Post ATM or Kelantan?